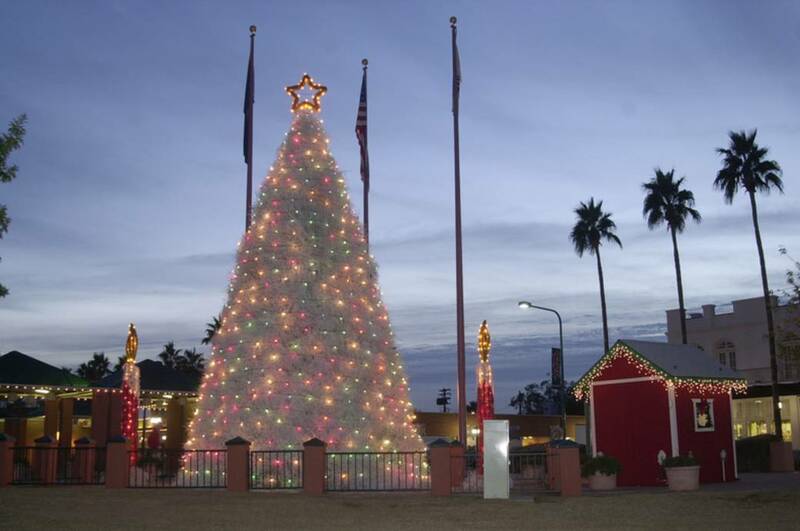 Since 1957 Chandler has been the only city in the southwestern United States to have a tumbleweed Christmas tree! Tonight Chandler continues this unique southwestern tradition with a celebration that draws holiday visitors from far and wide. Starting with 1,000 tumbleweeds collected from around the City, members of the City's Park Operations Division decorate a 25-foot tall wire framed Christmas tree. Once attached to the frame, the tumbleweeds are sprayed with 25 gallons of white paint, 20 gallons of flame retardant and dusted with 65 pounds of glitter. The tree is later adorned with approximately 1,200 holiday lights that give it a spectacular look, day or night. The lighting of the Tumbleweed Tree draws a large crowd, with more than 15,000 expected to watch the Mayor and members of the City Council flip the switch to light this magnificent sight. This community festival also includes the beautiful Parade of Lights, traveling performers, and Santa's House! Santa's House: 4:30-9:00 p.m. - Dr. A.J. Chandler Park - Hey kids, take a free picture with Santa! Tumbleweed Tree Lighting Ceremony: 8:00 p.m. - Dr. A.J. 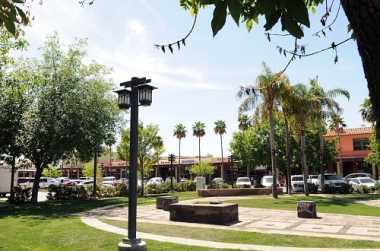 Chandler Park - Watch the most unique tree light up the night when the Mayor flips the switch and the holiday season in Downtown Chandler officially begins.